RUSH: Folks, I give away, occasionally, Apple products — primarily iPhones — and lately I’ve been giving away the iPhone X. And this is an object lesson, what is happening. The tech media hates Apple like the mainstream media hates the Republican Party. Different reasons, but the level of hate is the same. Therefore the misrepresentations, the lying — the outright lying and misreporting — about things having to do with Apple and particularly the iPhone X are just… They’re outrageous, and they’re a great example of how it happens in the mainstream news media with the Drive-Bys and real news. Now, normally I wouldn’t talk about this except I give away some iPhone Xs, and I don’t want any of you who’ve received them to think that I’m giving you lemons. The tech media is reporting that the iPhone X is selling so bad that Apple’s gonna stop making it this summer, and it’s not true. 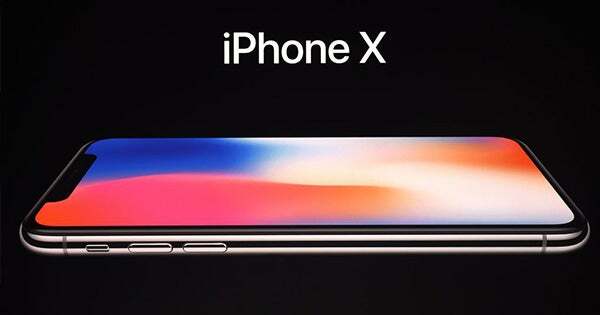 The iPhone X was the number one selling iPhone in the world in November, the fourth quarter of 2017. The number one selling phone, period, in the world. Now, I don’t know if these tech media people literally are dumb and stupid and don’t know what they’re talking about or if they do and are just making it up in the never-ending quest to damage Apple. Now, I don’t want anybody to misunderstand. I know a lot of people think that my love for Apple products is misplaced because Apple probably would want nothing to do with me given the political/ideological differences. Fine and dandy. I understand that you think this way. But I want you to know that I’m gonna get into this not to defend Apple, but rather myself. You know, I give this stuff away. I love giving it away. I love sharing my passions with people. And if I don’t address this, there are gonna be some people who I gave phones who’re gonna think I gave ’em duds. And we don’t give away duds here. Whatever we give away, it’s the top of the line. Now, let me move on to this Apple business and swat this out of the way. Again, folks, I’m doing this not to defend Apple. That’s not the point here. I know a lot of you think that I waste time defending Apple, given that your perception is that Apple is no friend of mine because of ideological differences. But that’s not what’s going on. I give away, as you know, things. Lately I have been giving away — on a random basis — new, brand-new iPhone Xs. These are iPhone Xs with the maximum storage, 256 gigabytes, and we ship them out FedEx Priority Overnight. The U.K. Sun: “Apple Could Scrap iPhone X This Year over Poor Sales of the Smartphone — One expert says pricey phone could be dead by the end of summer.” The Daily Mail, the U.K. Daily Mail Online (which is otherwise a very responsible paper): “Will Apple Cancel the iPhone X This Summer? — Disappointing sales caused by a lack of interesting innovations will end production of the handset, says a leak.” None of this is true! There’s not a single word of any of these headlines that’s true. I gave away the iPhone X, and I will not have any of you recipients thinking I’ve given away a lemon or a bust. Now, let me explain this. The first thing is, the iPhone X, 29 million of them were shipped in the fourth quarter of 2017, and this phone was only available in quantity in December. It began to ship in November, but there was a back order of five to six weeks. They basically sold 29 million of these phones in a month. Twenty-nine million phones made it the world’s best-selling smartphone over the holiday season. The world’s best-selling smartphone, and it was right in line with what other high, big selling iPhones have sold within the same period, four to six weeks. So what is this “end of life” business everybody’s talking about? It’s very simple, and I can’t believe these tech media don’t understand it. I can’t believe it, ’cause it’s not that hard. As you know, Apple introduces new phones every year, and there was a report from a highly respected analyst in Taiwan (everybody respects this guy) who has connections to the Apple supply chain. And he said that Apple is going to stop manufacturing the iPhone X, and it will reach its end-of-life cycle sometime this summer, in preparation for new iPhones to come out next September. Well, that’s the report, and there have been rumors from other analysts that the phone’s not selling well, and that’s common. I mean, every year the anti-Apple tech media (much of which is bought and paid for by Samsung) reports that Apple’s phones are not selling well and they’re always wrong. But this end-of-life business is a standard business term. The iPhone X is not being eliminated. It’s not being shut down. It’s not being ceased. It’s going to be upgraded! There will be a new version of it: Same size, 5.8-inch screen. It’s gonna have a little bit faster processor. The cameras on the back may be a little bit better. But the reason… See, normally every year the new phone this year becomes the second tier phone the next year. And it’s always reduced in price by $100. I don’t think Apple wants to keep this year’s iPhone X for sale at a cheaper price point. They have revolutionary technology here with Face ID. They’re two years ahead of any competitor with that. With the TrueDepth system and the Face ID and all the camera goodies here, they’re two years ahead of people. And they’ve got these new… They’re gonna have two new phones, actually three, but two iPhone Xs coming out: 5.8- and a 6.5-inch iPhone X Plus! And those are going to be priced where the current iPhones are priced. They do not want this year’s iPhone X selling for $100 less than it sells now. They want to be able to maintain an average selling price because of this new, revolutionary technology. So they’re not going to keep the current iPhone X as a year-old phone. It will be replaced by a brand-new phone, 6.1-inch, but it will not be an OLED screen. It will be traditional LCD screen, but it’s gonna look just like the iPhone X. It’ll have a 6.1-inch screen, but it will not have some things in it — you know, big time back camera. They’ll be able to sell this at the same price point that the iPhone X would sell for if they kept it. The bottom line is that this iPhone X that you have, if you have one now, they’re going to sell another version of it like they do every year, upgraded — you know, incremental improvements of the internal. The iPhone X is not a bust; it’s not a lemon; it’s not going anywhere. They just are not going to keep it in the roster as a cheaper phone next year, for a host of reasons. They’ll probably hold on to the iPhone 8 and the 8 Plus as the lower-cost phones next year and then they’ll introduce that 6.1-inch phone in that same price point, maybe even a little less. And there will be two new iPhone Xs, the one that’s still 5.8 inches like this one and the new one at 6.5 inches where they will maintain the premium price level and will not cut the price. It has nothing to do with the phone not selling because it’s selling like hotcakes! It’s the hottest selling phone in the fourth quarter in the world, and these tech companies have just glommed onto this. They just can’t wait to write that Apple blew it, Apple’s failing, Apple had a bad quarter, just like they can’t wait to write about the Republicans. It’s the same… It’s amazing how similar the coverage of Apple is in the tech media and the coverage of the Republican Party and conservatives is in the mainstream media. It’s eerie! The tech media literally hates Apple. Not all of it, but I mean the people participating, they literally hate Apple and they wish Apple would fail. They’re jealous, they’re envious, they just despise them because they’re successful. Even though they’re all liberals, even though they’re all on the same pod, if you will, ideologically. But this is all about being No. 1. It’s all about being big. (impression) “It’s not fair! It isn’t fair to be so successful. It’s not fair that somebody’s so big. It’s not fair! It’s not fair that Apple has the best phone every year. It just isn’t fair!” So any chance they get to write that Apple’s blowing it, that Apple’s best days are behind them, that Apple’s new phone’s a dud, they do it. Knowingly! I think they know here what they’re writing here in these headlines are bogus; but they’re doing it anyway. So, you know, I have given enough of these things away that if you all saw this news, you might think you’re holding a dud, and you’re not. You’re holding… If you have an iPhone X, you have technology in your hand that is two years ahead of what any other manufacturer has, and they’re not close to duplicating it or surpassing it. The same iPhone that you have today, the iPhone X, is going to continue to exist as an upgraded version. It will look pretty much like this one does. But the current iPhone X will not continue to be sold cheaper. They will use other phones for cheaper price points. But they are not going to lower the price of this brand-new, state-of-the-art tech. It’s brand new! They don’t want to cheapen the image of it. It’s their way to do business. UKDM: Will Apple Cancel the iPhone X This Summer?